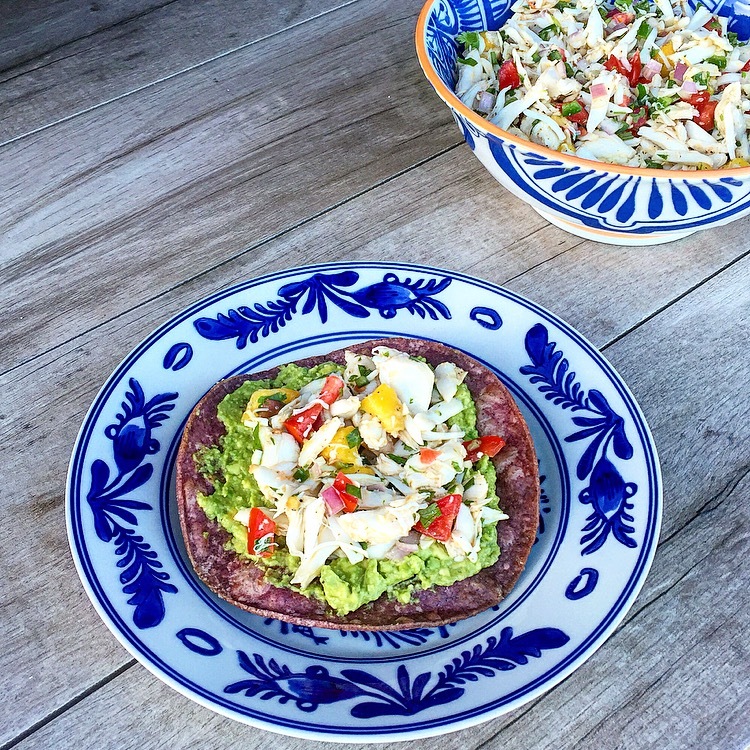 I Love seafood in the coastal areas of Mexico from Mexican Shrimp Cocktail to Baja Style Fish Tacos and one of my favorites is Mexican Ceviche served with avocado and crispy tortilla chips. But do you find it slightly intimidating attempting to cook raw fish in citrus at home? Well, have no fear this Ceviche is made with sweet, delicious Jumbo Lump Crab. The Jumbo Lump Crab then gets tossed with sweet fresh mango, diced tomato, spicy jalapeño, fresh cilantro, and lime juice. Then I pile the ceviche up high on a crispy blue corn tostada with some fresh creamy avocado. Bam! Take that Avocado on toast!! This Sweet and Spicy Crab Ceviche is light refreshing and makes the perfect lunch for lounging by the pool or serve it on tortilla chips for a delicious Cinco De Mayo party appetizer. Pick through the crab meat to make sure there is no shell then place the crab in a large bowl. Add the mango, jalapeño, shallot, tomato, cilantro, the juice of 1 lime, salt and pepper to the crab meat. Gently (you don’t want to break up the crab meat) toss to combine. Chill and allow the flavors to merry for at least 2 hours. Before serving fry the tortillas one at a time in about 1 inch of oil until crisp. Or brush the tortillas with a little oil and bake them for about 8-10 minutes in a pre-heated 400 degree oven until crisp. Also in a pinch you can use store-bought tostada shells. Mash up the 2 avocados with the juice of 1 lime and season with salt and pepper. 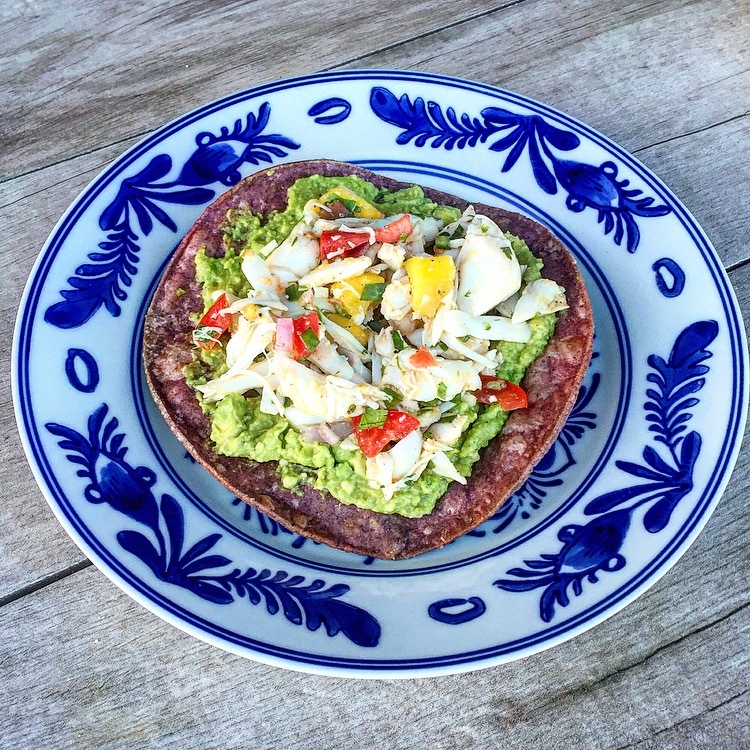 Spread a little of the Avocado on the tostada shell and top with a few spoonfuls of the Crab Ceviche. *To feed a larger party double the avocado mixture and serve the crab ceviche on tortilla chips. I’m with you about the citrus fish cooking, that’s why I always lightly poach the fish before making my ceviche! The crab meat and shrimp I buy precooked. Then I do the regular method. Love the idea of mango with crab! Thanks for commenting and have a happy Saturday!! Hahaha thanks Kathryn 🙂 Avocado on toast is so boring right? Hope you are well and enjoying some nice weather up your direction. 63 today and 74 tomorrow, yay! 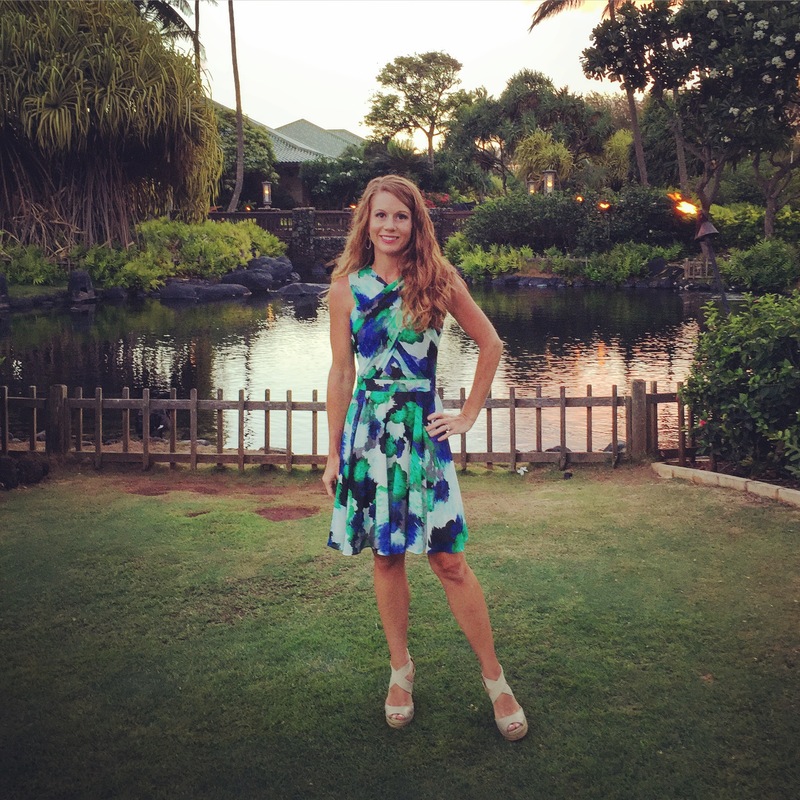 Have a great weekend Mel! Yeah blue corn isn’t a common thing outside of the American Southwest and Parts of Mexico…. But it sure does make for a tasty tostada 🙂 Mango and Avocado are one of my favorite combinations (except in guacamole) add in the sweet crab meat and it’s a match made in heaven! !